When it comes to bodyboards it’s important to have something that is lightweight and manoeuvrable but also reliable and durable enough to cope with whatever the water has to throw at you. At GO Outdoors we’ve got a number of high quality adult and junior bodyboards for you to look at and buy today, enabling you to get out onto the water as soon as possible with a board that you can trust. 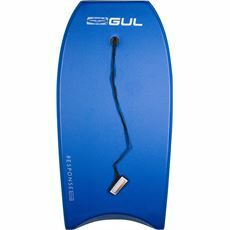 Our collection includes some of the very best Gul bodyboards as well as offerings from other tried and trusted brands for the best all-round performance on the waves. Check them out today.